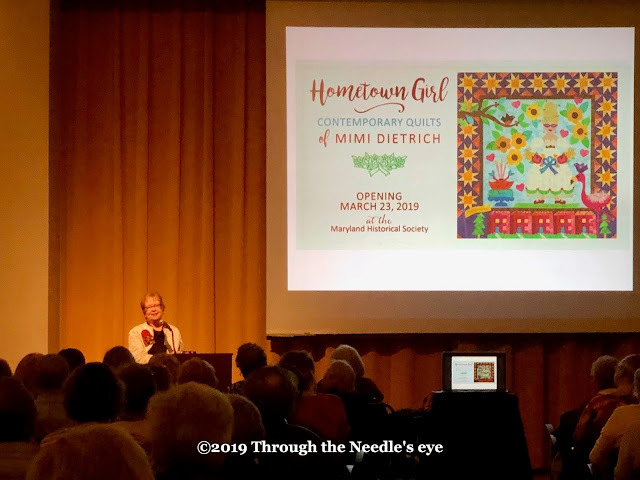 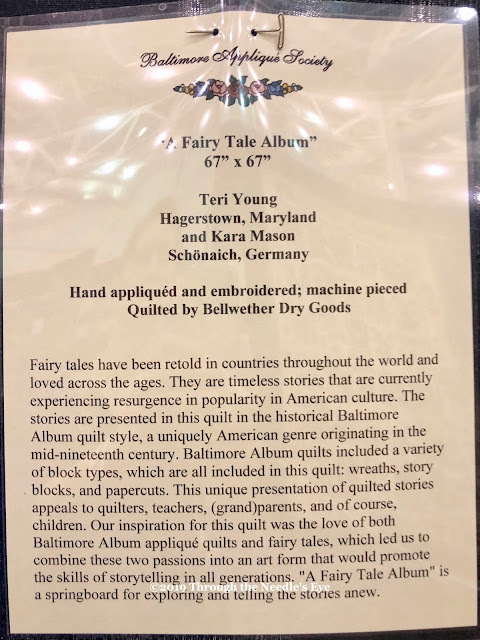 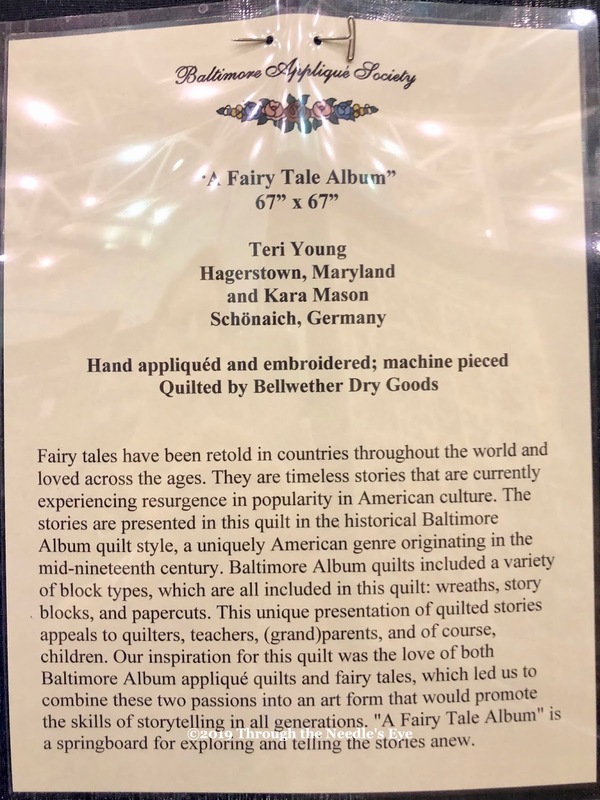 This past weekend, I (Teri) had the privilege of attending the opening of the special exhibit, Hometown Girl: Contemporary Quilts of Mimi Dietrich, at the Maryland Historical Society Museum in Baltimore, Maryland. What a thrill it was to share this day with Mimi—along with hundreds of her family, friends, and students. 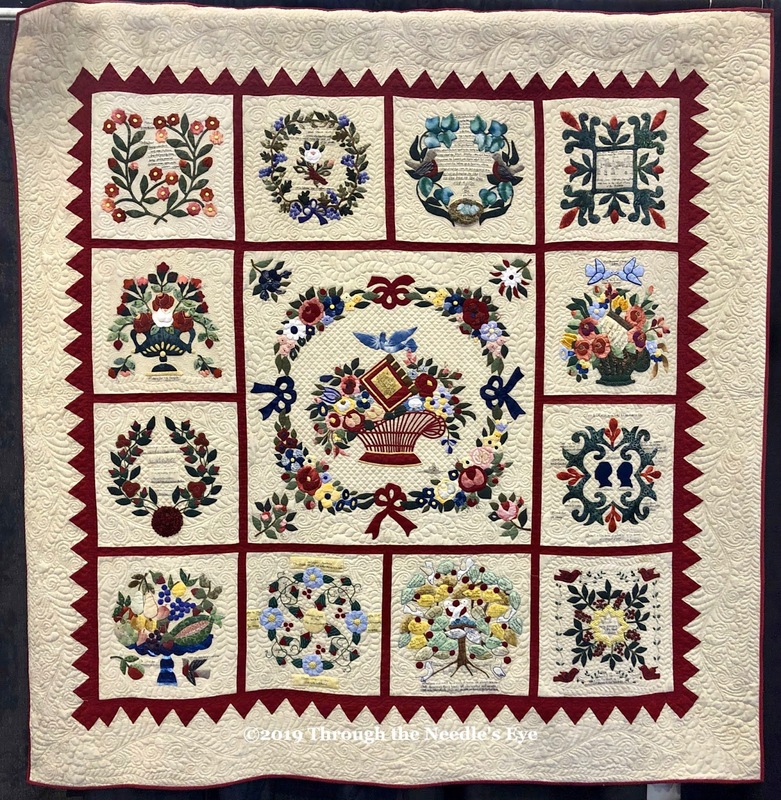 Mimi has inspired countless quilters over the course of her career, and her character has touched everyone who has been fortunate to know her. 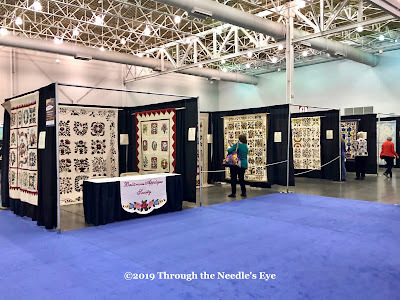 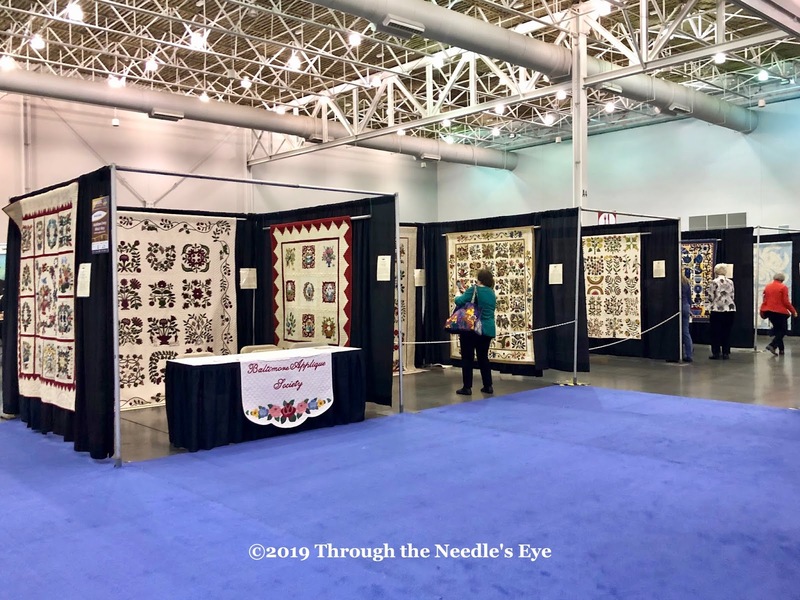 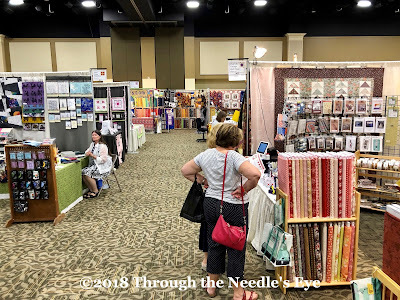 There is so much to share from International Quilt Market that I (Teri) will have to do so in several posts. 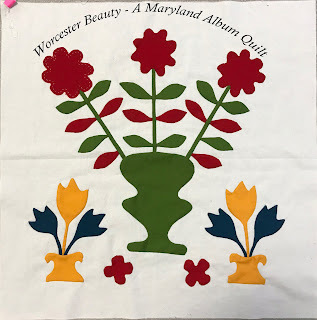 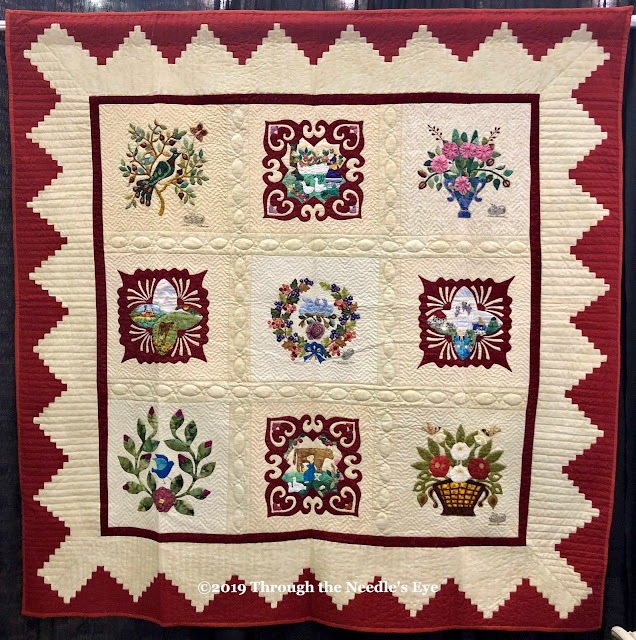 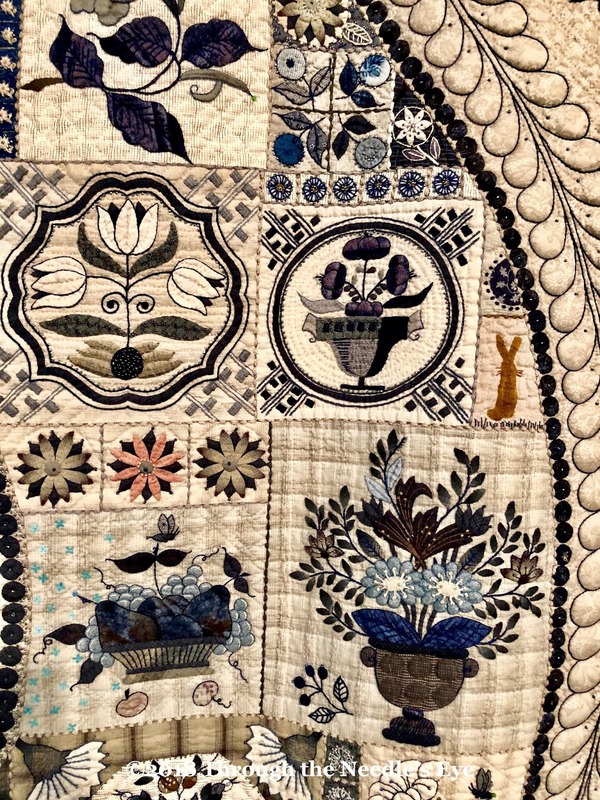 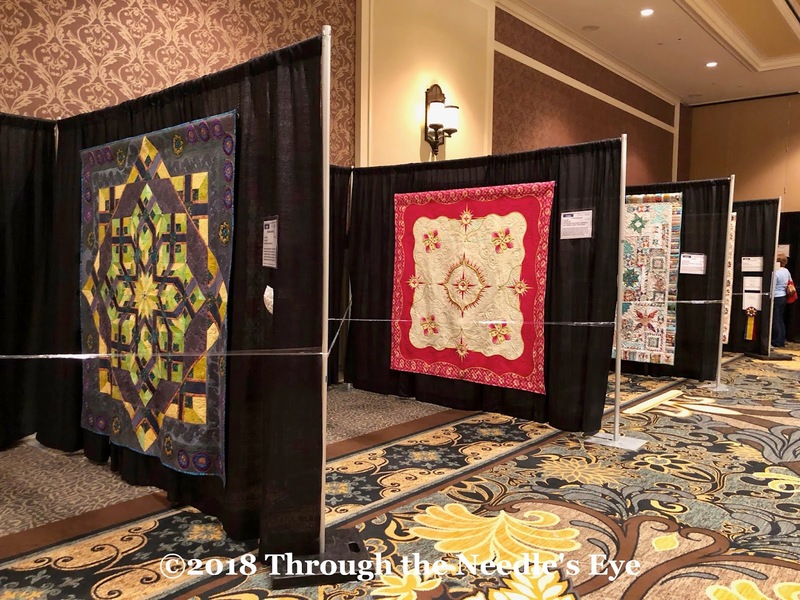 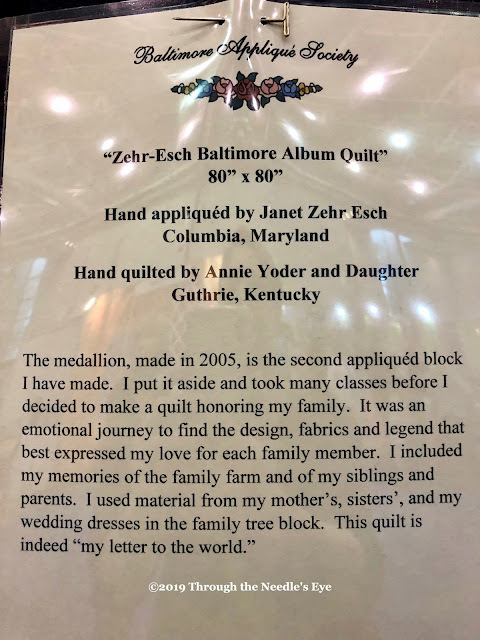 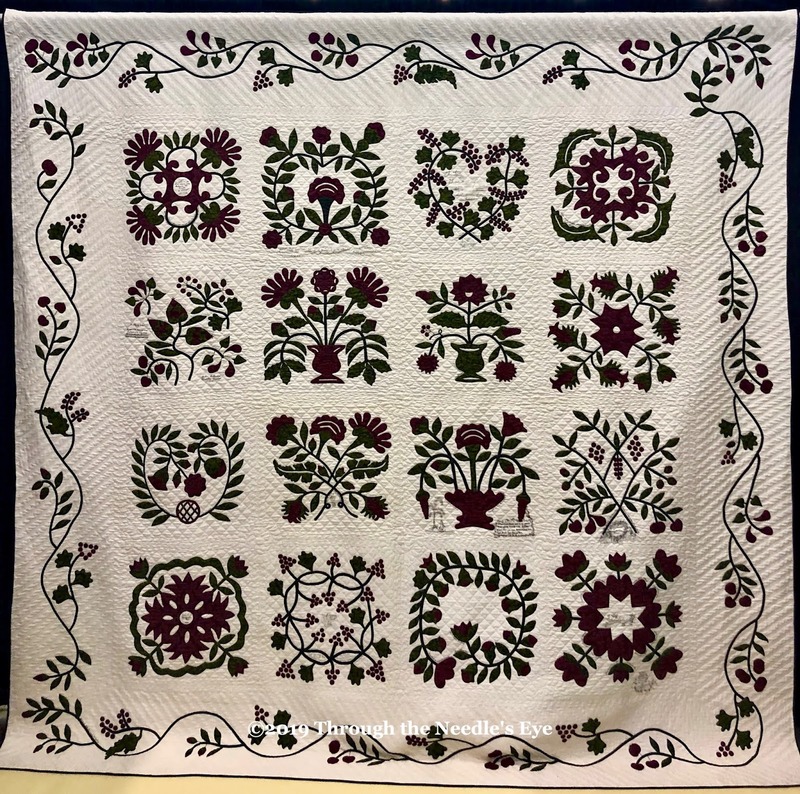 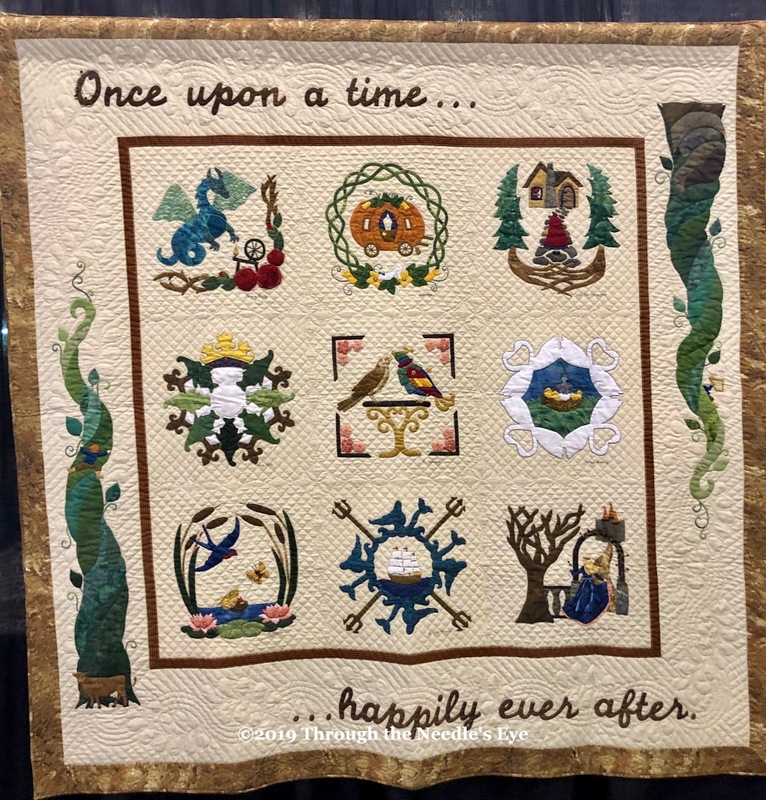 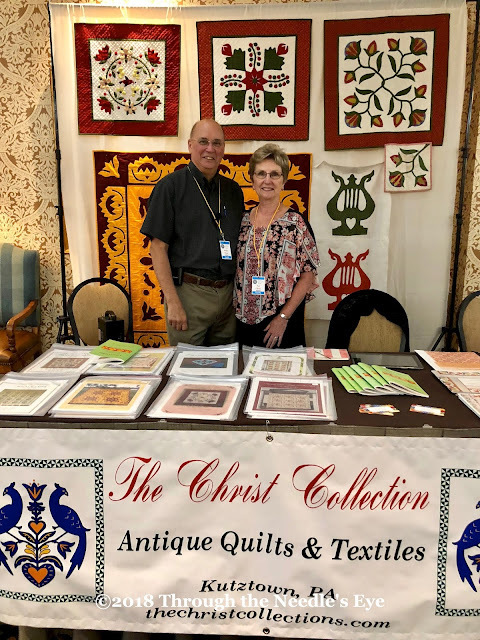 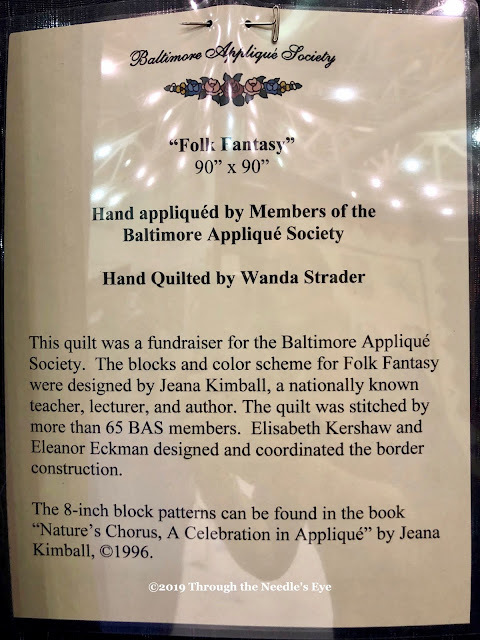 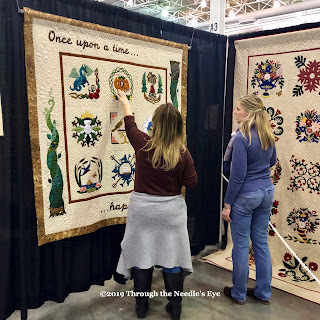 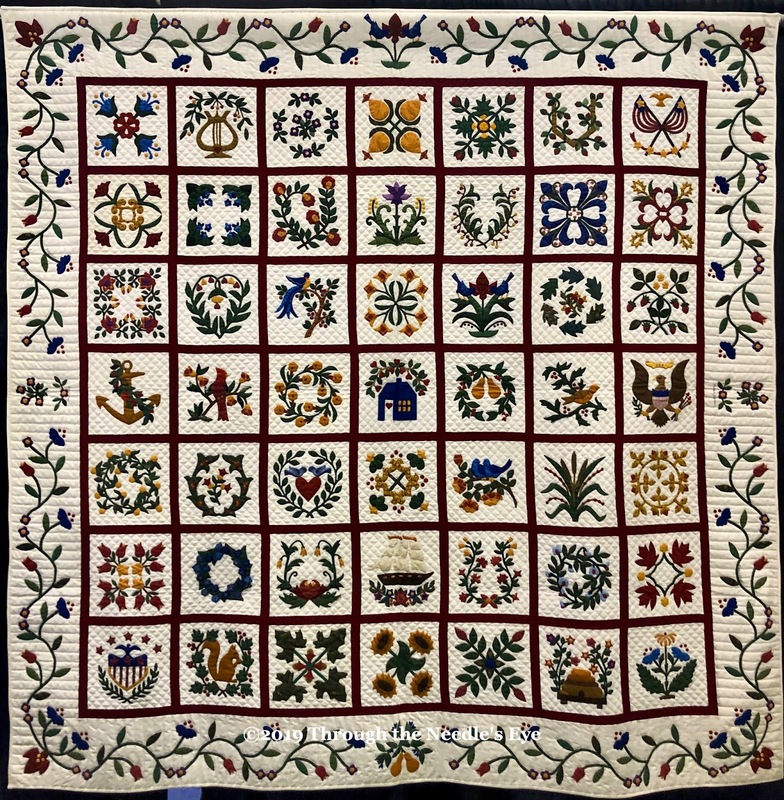 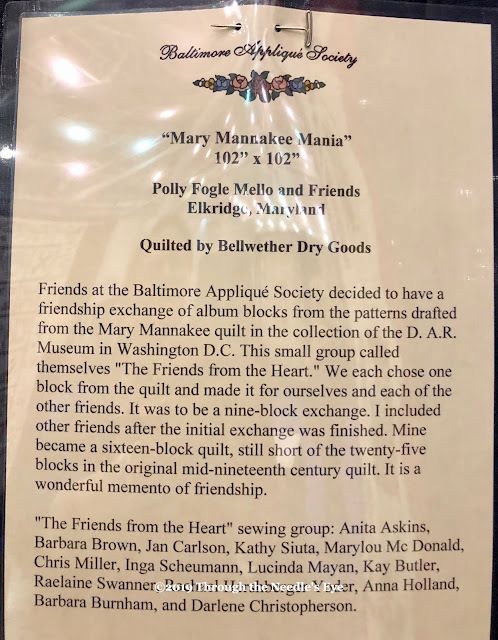 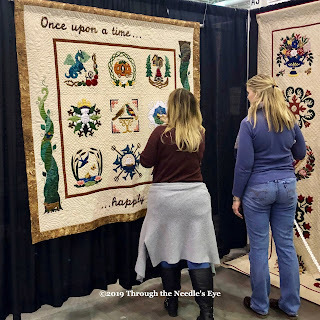 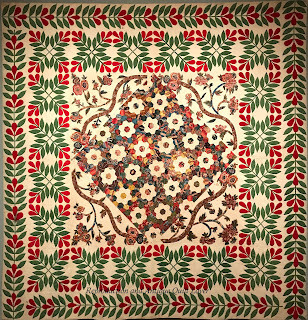 If you've followed our blog for any time, you may have noticed that we love appliqué, and being members of the Baltimore Appliqué Society, our eyes are always drawn to the album style quilts. And there were plenty of those in Houston this year. 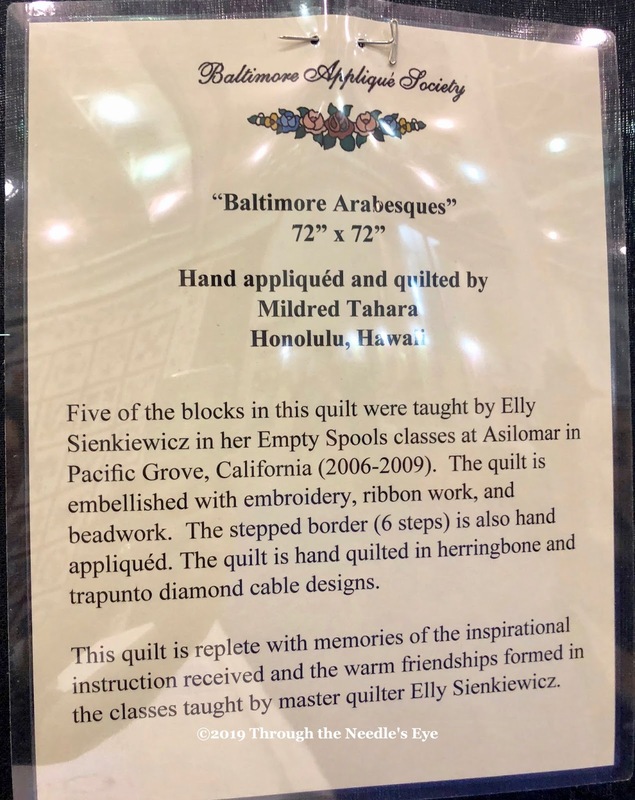 Communication in your own language can be difficult. 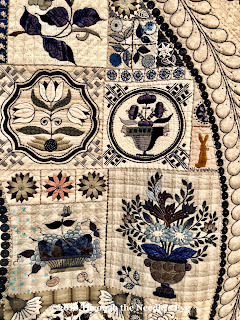 Communication between two people who don't speak the same language is really difficult. 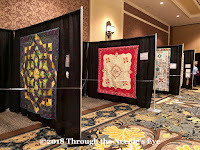 The good thing is that quilters can communicate without speaking. 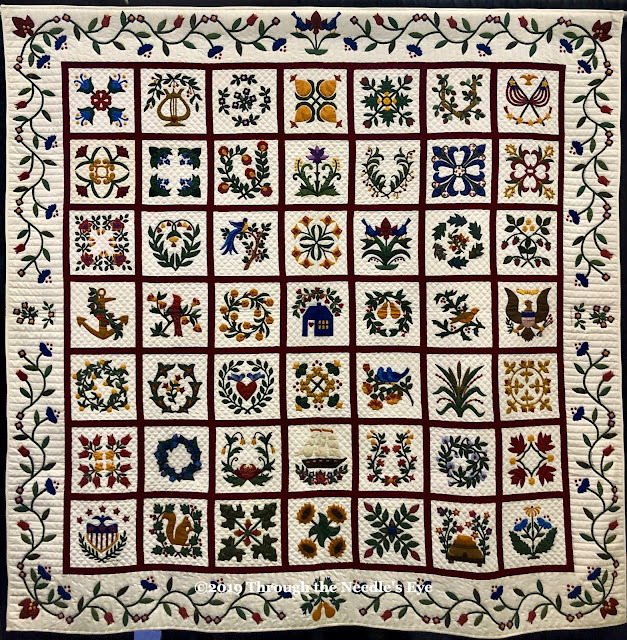 Whether it is a modern or traditional quilt, the voice of the maker can be heard without saying a word. I like to give myself presents. 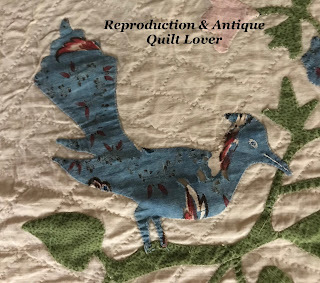 After all, I know exactly what I want and I don't judge my own quilt obsession. In fact, I think it is perfectly normal. You do, too. 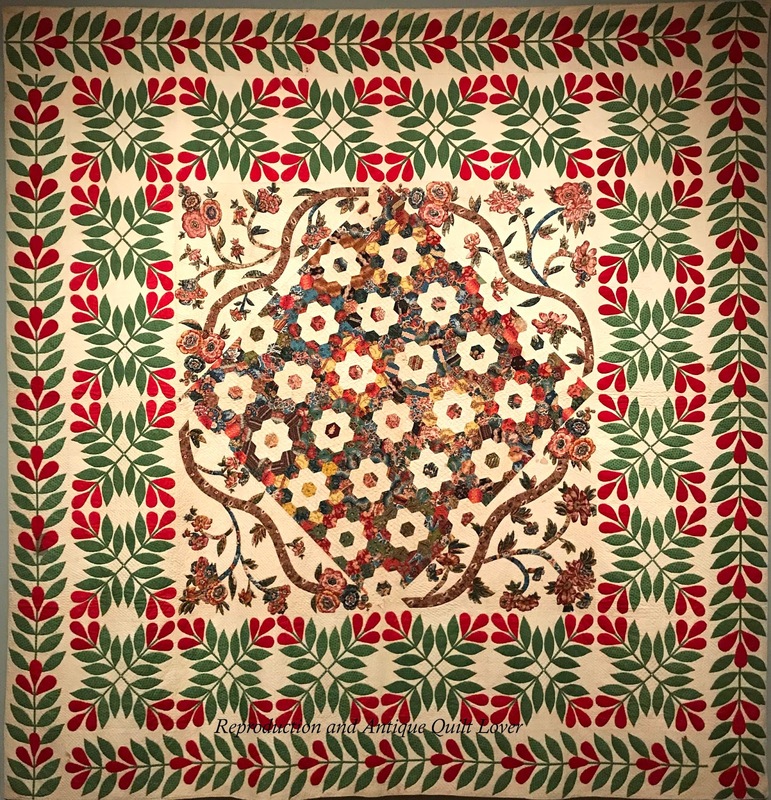 That's what I like so much about you.